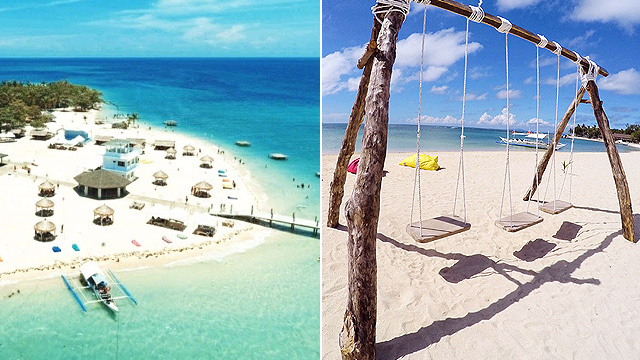 From relaxing staycations to sumptuous feasts! 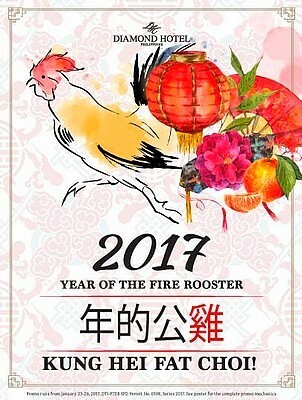 (SPOT.ph) Shoo the bad vibes away and fill the Year of the Fire Rooster with all the good fortune and prosperity. We're sure that family reunions are in the works, so we've compiled a list of promos that you might want to check out. Time to usher in the Lunar New Year! 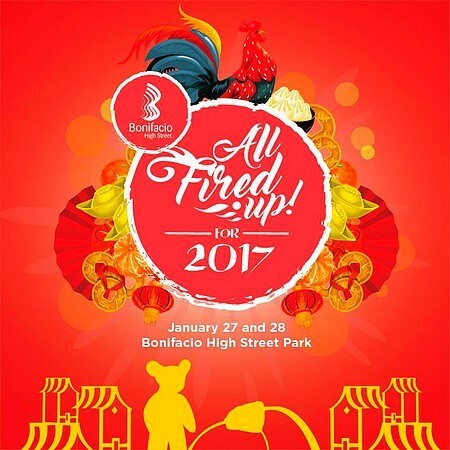 Celebrate the Year of the Fire Rooster at Bonifacio High Street! Savor a spread of Chinese delights curated by Ivan Man Dy of Old Manila Walks with a free Chinese musical performance on January 27 at One Bonifacio High Street. On January 28, one-on-one fortune reading awaits when you present a P1,000 single-receipt purchase from any shop or restaurant in Bonifacio High Street. Psychic and master reader Robert Rubin will be sharing his tips and predictions for the new year at 5 p.m.! Lion and dragon dancers will also grace the entire stretch while a mural exhibit of your fortunes by street artist JP Pining (a.k.a. Pulp) will be on display all week! Bonifacio High Street is at Bonifacio Global City. For more information, log on to Bonifacio High Street's Facebook page. Power Plant Mall is at Rockwell Drive corner Estrella Street, Makati City. For more information, log on to Power Plant Mall's Facebook page. Robinsons Place Manila is at Pedro Gil Street, Manila. For more information, log on to Good Life's Facebook page. Would you like to know some auspicious tips and insights into how to activate good energy to achieve your goals this year? Drop by the activity areas of Araneta Center's Gateway Mall, Ali Mall, and New Farmers Plaza on January 28, 3 p.m.! 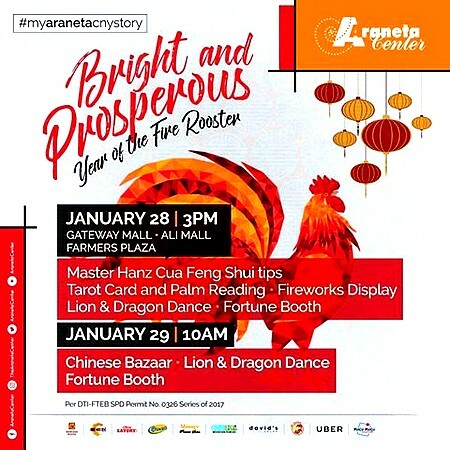 On January 29, 10 a.m., let the lion and dragon dance bring in the luck as you check out the Fortune Booth and the Chinese Bazaar. Turn your Yin into a Yang in the Year of the Red Fire Rooster at the Diamond Hotel. Relish popular Chinese dishes at Corniche for P2,280 per person and get a chance to pick-a-prize from the Prosperity Tree for a minimum spend of P5,000. Enjoy the vivid and entertaining performance by the Philippine Ling Nam Athletic Federation at the Lion and Dragon Dance on January 28, 11 a.m. Chinese musicians Kim Hwa Ensemble will also perform at 7 a.m. and 7 p.m. 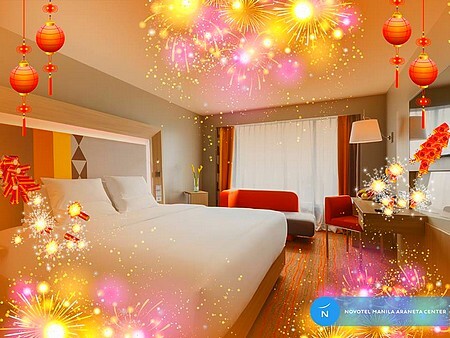 Finally, welcome the new year with good luck and an overnight stay that includes a P2,000 food and beverage credit for Room Service, breakfast for two at Corniche, unlimited Wi-Fi access for two devices, and 20% discount on massage, reflexology, and laundry. 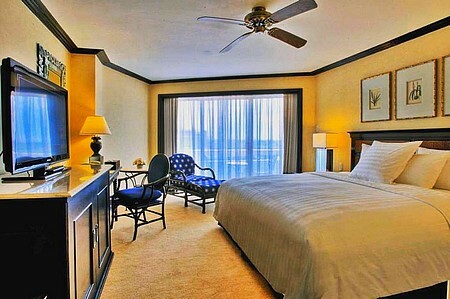 Rates start at P7,500 for the Deluxe Room. Diamond Hotel is at Quintos Street, Ermita, Manila. For inquiries or reservations, call 528-3000. 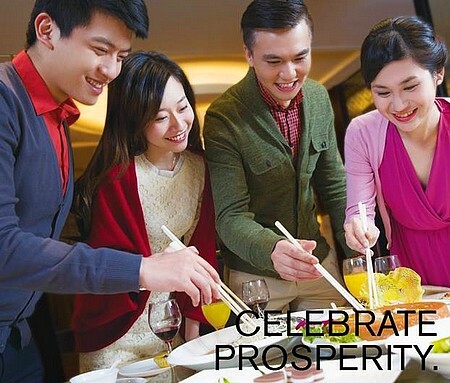 Celebrate prosperity at Holiday Inn and Suites Makati this Lunar New Year! Join the hotel for the traditional Dragon Dance to kick off the celebrations, followed by the Prosperity Toss at Flavors. A special New Year spread will also be served to celebrate the luck that the Year of the Fire Rooster will bring. Lunch buffet starts at P1,500. Holiday Inn and Suites Makati is at Palm Drive, Ayala Center, Makati City. For inquiries or reservations, call 909-0888. Dine under a blanket of stars as Sunset Bar prepares a sumptuous Chinese spread from January 27 to 28. 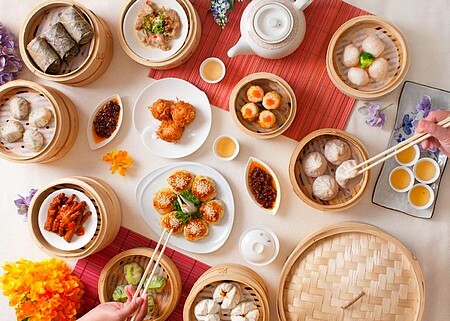 Feast on your favorite Chinese dishes while being serenaded by live musical performers. Enjoy a fireworks display on the evening, accompanied by a traditional dragon and lion dance. Rate is set at P2,200 per person, inclusive of unlimited local and Chinese beer, iced tea and, the hotel's featured cocktail. Sofitel Philippine Plaza Manila is at CCP Complex, Roxas Boulevard, Pasay City. For inquiries or reservations, call 551-5555. Kung Hei Fat Choi from The Manila Hotel! 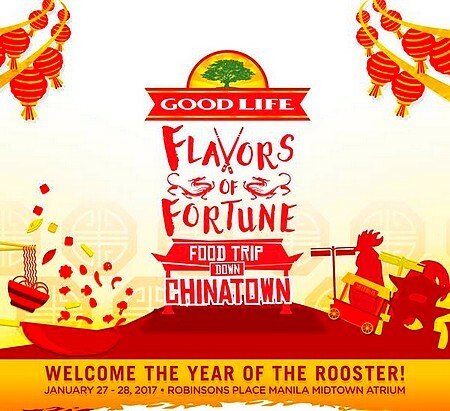 Welcome the Year of the Fire Rooster at the Grand Dame on January 27. 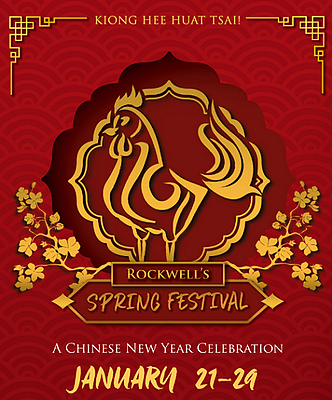 Book the "Meet the Rooster" package, which includes an overnight stay in a Superior Deluxe Room, buffet breakfast for two at Café Ilang-Ilang, one ticket to the Chinese New Year activities (cocktails, lauriat dinner, ceremony, dragon and lion dance, and fireworks display), one raffle ticket, and a copy of Fengshui Essentials book by Feng Shui Master Joseph Chau—all for P8,888 per night. Individual tickets are also available at P3,888 for adults and P1,888 for children, inclusive of cocktails, lauriat dinner, one Fengshui Essentials book by Feng Shui Master Joseph Chau, and one raffle ticket for a chance to win prizes. Manila Hotel is at One Rizal Park, Manila. For inquiries or reservations, call 527-0011 local 1176 to 1179. Ring in the Chinese New Year with an abundance of good luck and fortune! 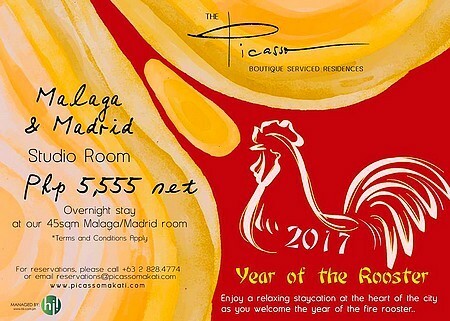 Stay at Aruga by Rockwell and celebrate the Year of the Fire Rooster! 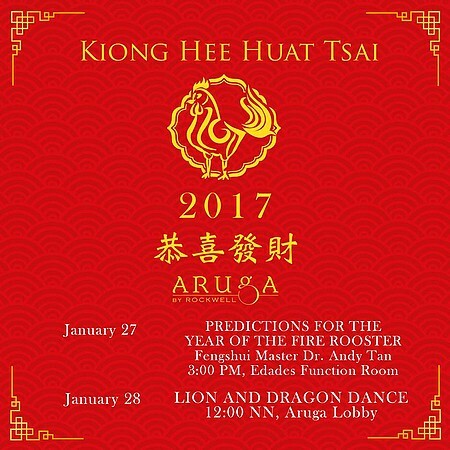 On January 27, 3 p.m., learn more about your future with predictions by Feng Shui Master Dr. Andy Tan. 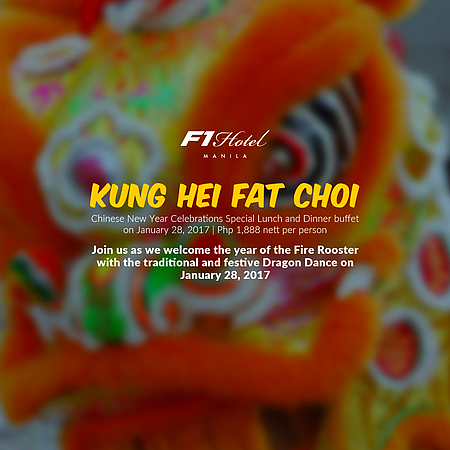 On January 28, 12 p.m., witness the lion and dragon dance at the lobby. Aruga by Rockwell is at Waterfront Drive, Rockwell Center, Makati City. For inquiries or reservations, call 818-0000. Crimson Hotel is at Entrata Urban Complex, 2609 Civic Drive, Filinvest City, Alabang, Muntinlupa City. For inquiries or reservations, call 0917-839-0313 or 863-2222 local 1612. Conrad Manila ushers in the new year with a lion and dragon dance performance on the evening of January 27 and noon of January 28. 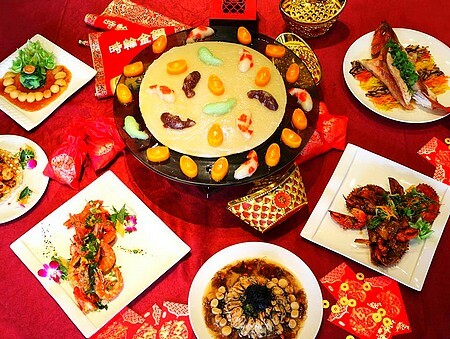 Guests may also feast on a special spread, featuring some of the Chinese New Year staples: lobster, abalone, and oysters. The set menu good for 10 people starts at P28,888. The Year of the Fire Rooster is looking very auspicious at Marriott Manila and the best way to start it is through a ceremonial dragon and lion dance on January 29 at 5 p.m. Join the celebration to attract good spirits and push negative energies away! In celebration of the biggest festival in the Chinese Lunar calendar, usher in the new year with a chest box filled with three traditional delicacies: Tikoy (Nian Gao), Radish Cake (Lo Bak Go), and Taro Cake (Wu Tao Gao), each available for P1,388. For a grander celebration, head over to Man Ho for a lavish 11-course feast. Choose between the Good Fortune Set for P36,888 or the Infinite Happiness Set for P42,888. Marriott Manila is at 2 Resorts Drive, Pasay City. For inquiries or reservations, call 988-9999. Go Xi Fa Cha! 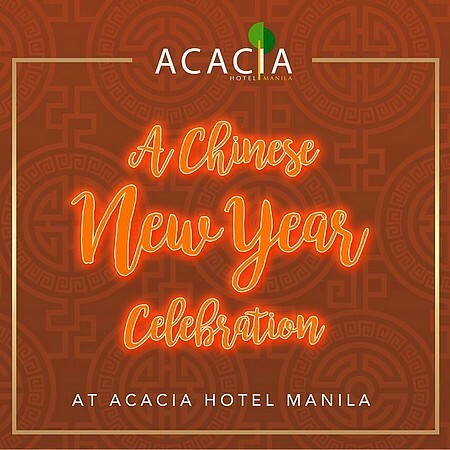 Celebrate Chinese New Year at Acacia Hotel. Bring the whole family and indulge in the Chinese Family Platter at the Lobby, available for lunch or dinner at P1,688. Be entertained by the live Dragon Dance performance on January 28, 6:30 p.m. Get ready to ring in an auspicious new year! Acacia Hotel is at Commerce Avenue, Alabang, Muntinlupa City. For more information, log on to Acacia Hotel's Facebook page. With the Fire Rooster as the symbol of triumph and awakening, join Shangri-La at the Fort in ringing in the New Year that promises prosperity and success. Reunite with the family over a Chinese New Year's Eve celebration on January 27, featuring concessionaire booths, musical entertainment, lion-dotting ceremony, and a lion dance at One Bonifacio High Street Park. On January 28, 11 a.m., the lion-dotting ceremony and dance continue inside the hotel. Welcome the Lunar New Year with a relaxing staycation. 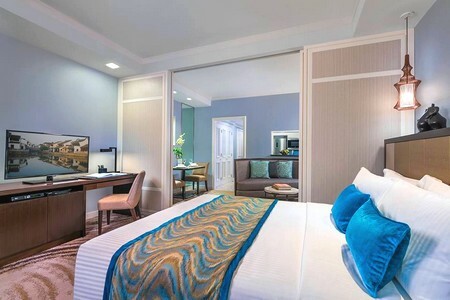 Room rates start at P9,888 per night in a Deluxe Room, inclusive of family buffet breakfast (for two adults and two kids) and complimentary use of standard facilities. Come together as a family and dine at Canton Road for a special dinner on January 27 with menu rates starting at P26,888. 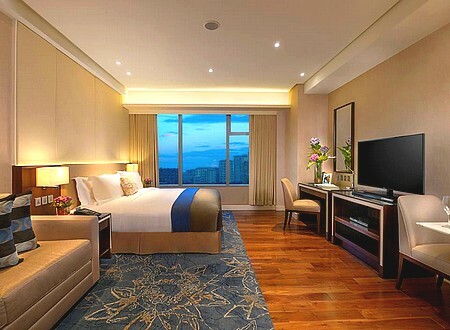 Shangri-La at the Fort is at 30th Street corner 5th Avenue, Bonifacio Global City. 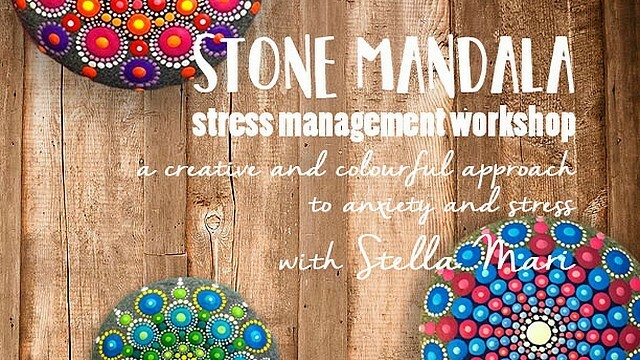 For more information, log on to Shangri-La at the Fort's Facebook page. Double the happiness and luck at Marco Polo Ortigas. Book the Lunar New Year offer and celebrate with 50% off second room, buffet breakfast for two, and guaranteed early check-in and late check-out. Stay for three consecutive nights or more to enjoy the same benefits and a room upgrade. 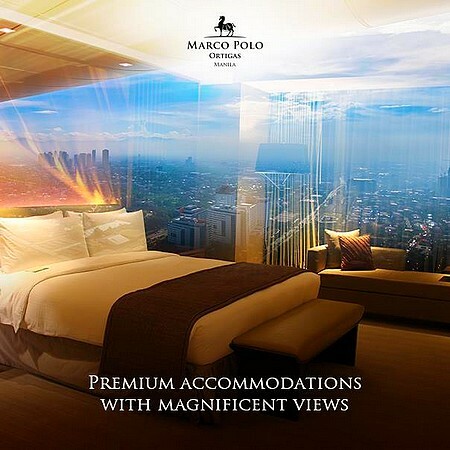 Marco Polo is at Meralco Avenue and Sapphire Street, Ortigas Center, Pasig City. For inquiries or reservations, call 720-7777. 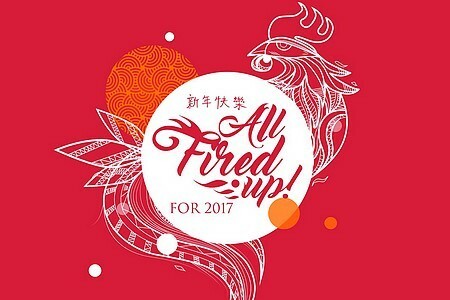 Ring in the Year of the Fire Rooster at Midas Hotel and Casino! Enjoy this prosperous occasion in the comfort of the hotel's Deluxe Room for only P5,000 or Executive Room at P6,000. Double your luck and get a chance to win a lunch or dinner buffet for two on Chinese New Year and an overnight stay in a Deluxe Room with breakfast for two. Midas Hotel and Casino is at 2702 Roxas Boulevard, Pasay City. For inquiries or reservations, call 902-0100. 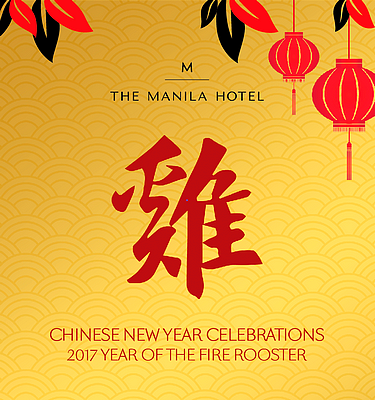 Kick off the Year of the Fire Rooster by gathering your loved ones at Novotel Manila. Book a staycation with rates starting at P6,888, inclusive of overnight stay, breakfast buffet, and Prosperity dinner buffet for two adults and two kids aged 15 and below. Novotel Manila is at General Aguinaldo Avenue, Cubao, Quezon City. For inquiries or reservations, call 990-7888. Celebrate the Year of the Fire Rooster this Chinese New Year at The Picasso Boutique Serviced Residences. Enjoy a relaxing staycation with the hotel's long weekend special rate of P5,555 for an overnight stay at the Malaga/Madrid studio until January 30. The Picasso Boutique Serviced Residences is at 119 L.P. Leviste Street, Salcedo Village, Makati City. For inquiries or reservations, call 828-4774. 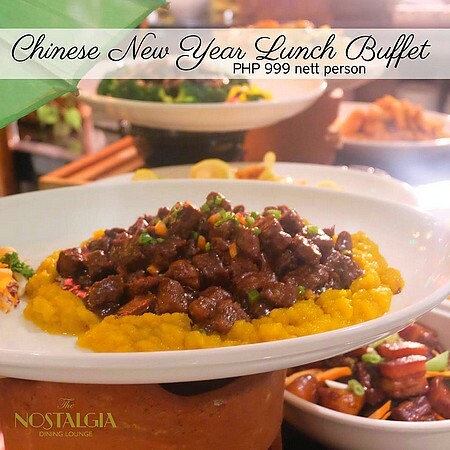 Celebrate the dawning of this New Year in the company of family and friends at Oakwood Premier Joy-Nostalg Center Manila's The Nostalgia Dining Lounge. Make room for auspicious appetizers, prosperity noodles, and dimsum, as well as fortune desserts that will shower you with bounty all the way to the Year of the Fire Rooster! This lunch buffet is available at P999 from 12 p.m. to 3 p.m. until January 27. Oakwood Premier Joy-Nostalg Center Manila is at 17 ADB Avenue, San Antonio, Pasig City. For inquiries or reservations, call 637-7888. 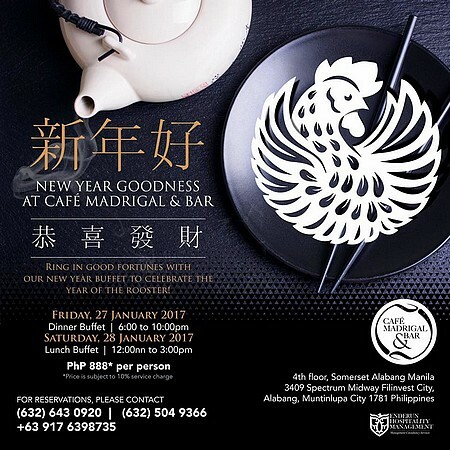 Ring in good fortune with a New Year buffet at Somerset Alabang's Cafe Madrigal and Bar, marking the entry of the Year of the Rooster! Enjoy a delectable dinner buffet from 6 p.m. to 10 p.m. on January 27 or a lunch buffet from 12 p.m. to 3 p.m. on January 28 at P888. Somerset Alabang Manila is at Spectrum Midway, Alabang, Muntinlupa City. For inquiries or reservations, call 643-0920, 504-9366, or 0917-639-8735. 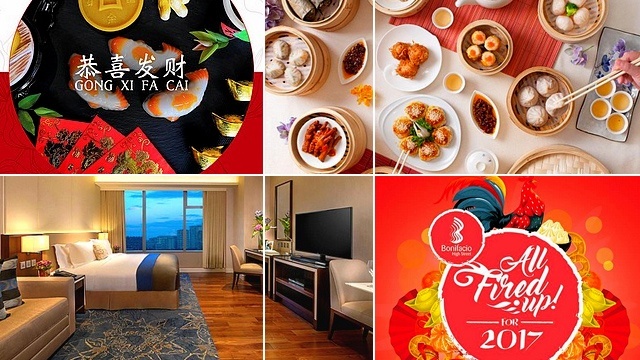 Experience a luxurious Chinese New Year weekend staycation at Ascott Bonifacio Global City Manila! Book a Studio Executive for P8,000 or a One-Bedroom Executive Suite for P8,500. Each package includes a P800 meal credit from Alta, complimentary Internet, and use of the fitness center and swimming pool. Ascott Bonifacio Global City Manila is at 5th Avenue corner 28th Street, Bonifacio Global City. For or reservations, call 550-3200. 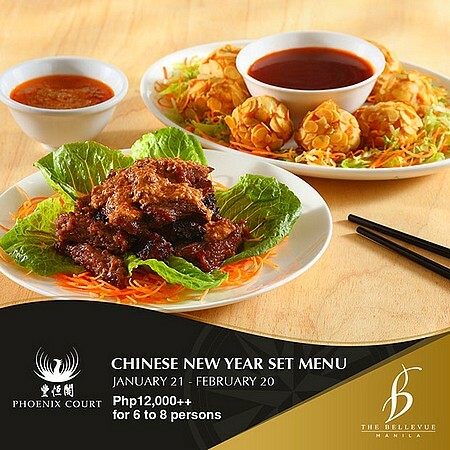 Look forward to reuniting with the family this Chinese New Year because The Bellevue Manila's Phoenix Court has prepared quite the auspicious meal! 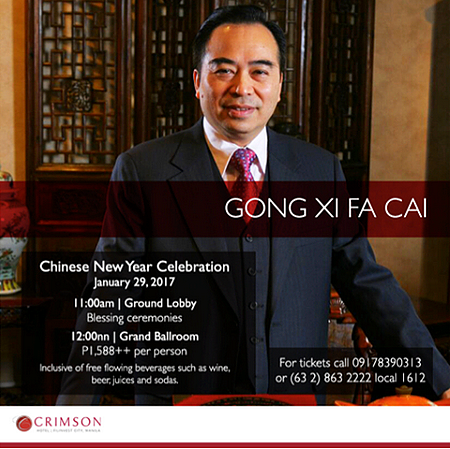 Round up the family and check out the Chinese New Year Set Menu for P12,000 for six to eight people. The Bellevue Manila is at North Bridgeway, Filinvest City, Alabang, Malacca Ln, Alabang, Muntinlupa City. inquiries or reservations, call 771-8181. Welcome the Year of the Fire Rooster by celebrating with HYATT City of Dreams! Come and indulge in traditional Chinese cuisine at the Café. 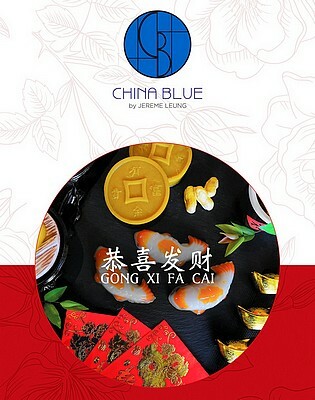 Auspicious glutinous rice cakes (nian gao) are also available for your family and loved ones. Regular buffet rates apply. HYATT City of Dreams is at Belle Avenue, City of Dreams Manila, Entertainment City, Parañaque City. For inquiries or reservations, call 691-1234 local 1162. This Chinese New Year, Ascott Makati is offering irresistible rates! Book a Studio Deluxe Classic for P7,888, a One-Bedroom Executive Suite for P9,888, or a Two-Bedroom Deluxe Suite for P13,888. Each package includes buffet breakfast for two and P800 meal credits from Myron's. Ascott Makati is at 1224 East Street, Ayala Center, Makati City. For inquiries or reservations, call 550-3200.